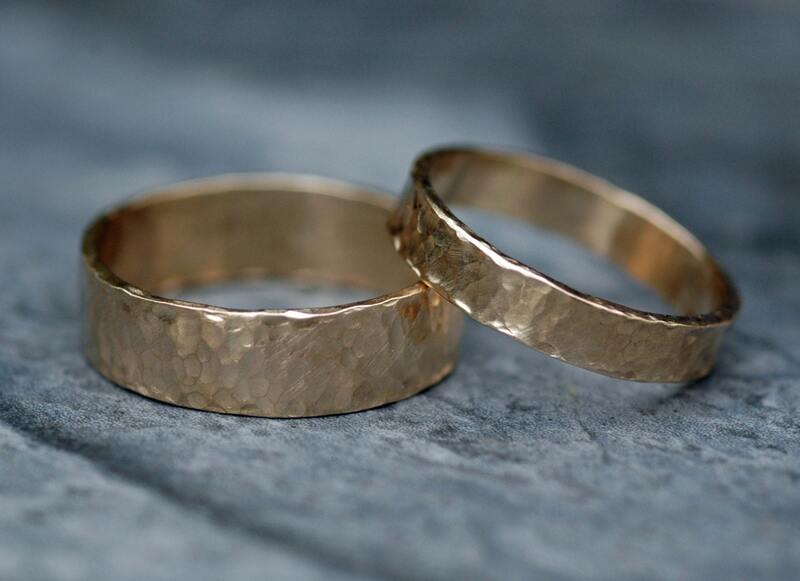 This listing is for a custom-built gold ring wedding band set. 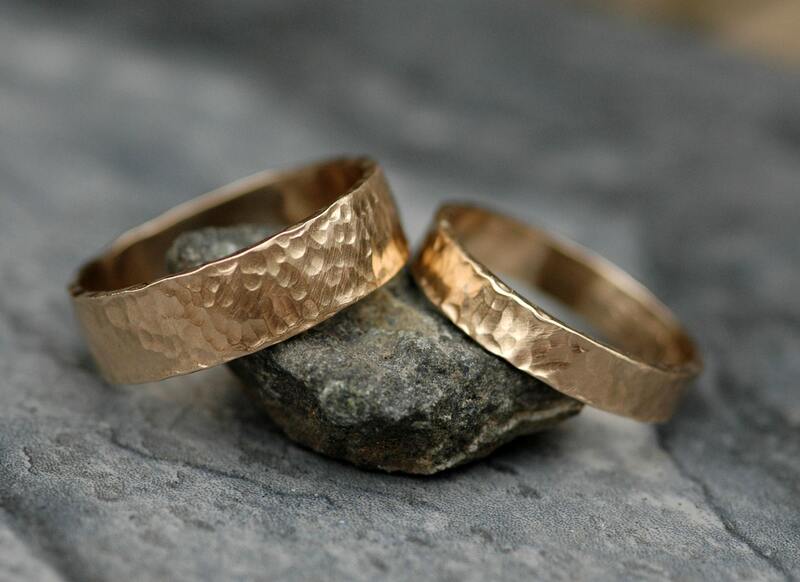 The photos show the rings in 14k yellow gold, but I can also work in any other colour of gold you wish. 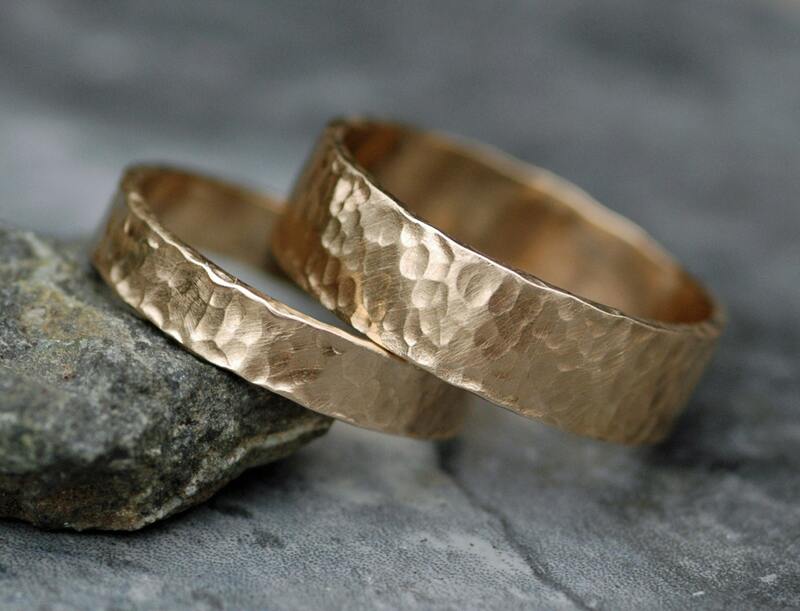 As well, I can make these rings in any karat of gold- please ask for current metal pricing. Please note that the rings in the photos are sold- yours will be custom-made for you upon ordering. 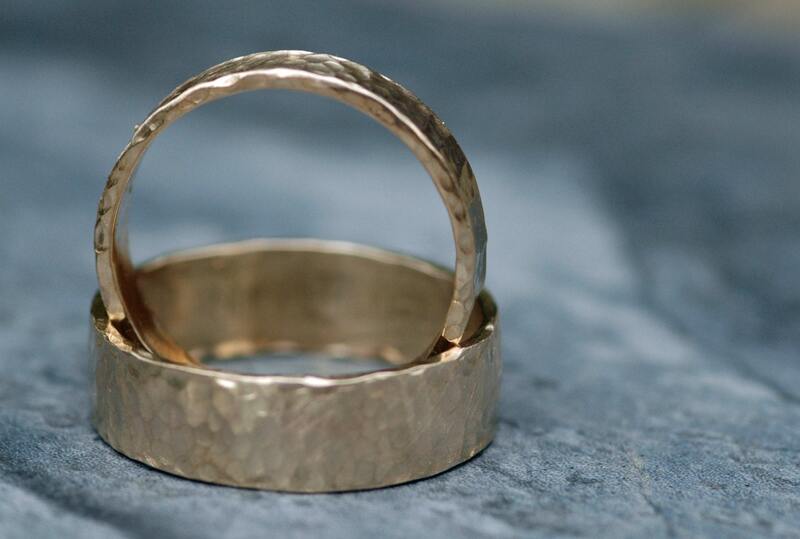 These rings are constructed of 14k gold. 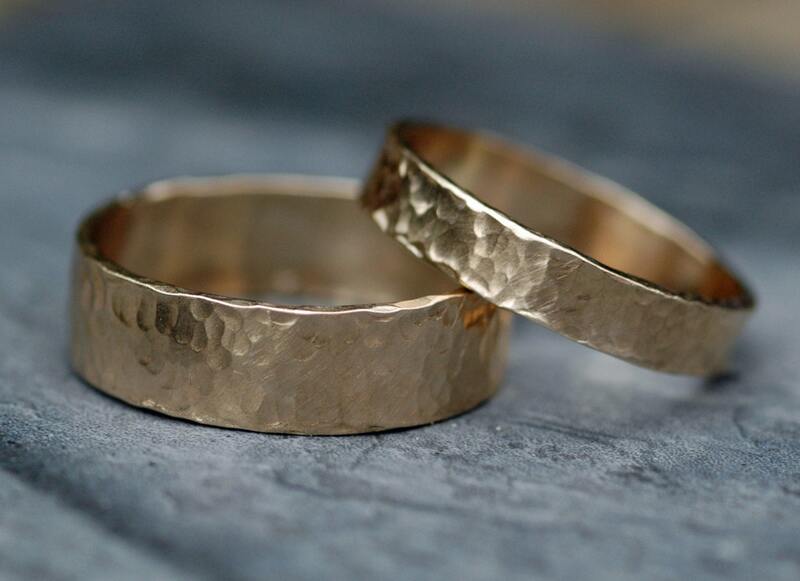 The 'hers' band is 4mm ring stock, and the 'his' is made from matching 6mm stock..
As this is a custom order, please see my shop announcement for my current lead time.